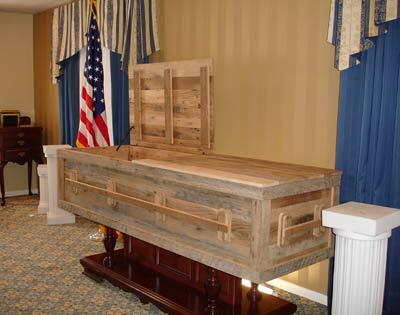 For the ultimate green burial, Simply Barnwood coffins are created from reclaimed wood from historic barns. These custom coffins preserve the beauty of history reclaimed through salvaged barnwood. No petroleum based finishing products are used.